This month we again have something a little different. I’ve decided to give you one of the 60 drawing exercises I’ve included in my new book, “The Animator’s Sketchbook”. This one deals with the value of observational gesture drawing. However, please do not get too hung up on your drawing ability or figure drawing quality – just draw as well and as economically as you can to get your pose drawing down as well you can in the time limit given. And always remember - 'the pose is everything' anyway - not the drawings! 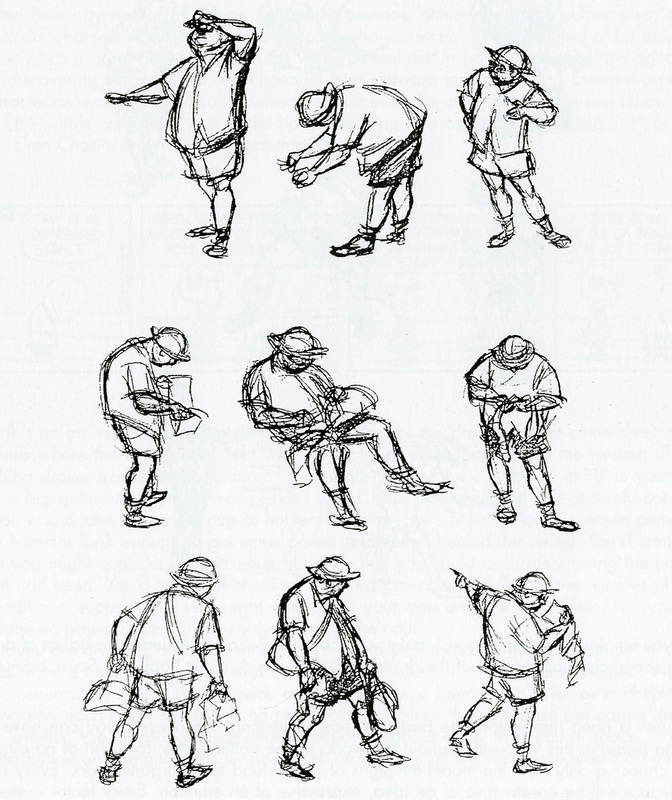 And shoiuld you want to know what I mean by ‘observational gesture drawing’ - do check-out the pictures in Walt Stanchfield’s “Drawn to Life” book. (Note: I’m not recommending that you buy it by the way.) If you don’t own a copy already - or don’t know anyone who has it - there are numerous Google Images of it online. A page from "Drawn to Life" by Walt Stanchfielf. And remember... This drawing challenge MUST be based on observations from ‘﻿real life’﻿ - and NOT ‘imaginary’ or from the photo above! Submissions due: Sunday, September 27th by midnight (Pacific Time). Note: The best submission will receive a free signed copy of "The Animator's Sketchbook" too!